When students are presented with a problem, I want them to have all the tools they need to employ design thinking to find solutions. First, students should have a student workplace with ample white board space for ideation, brainstorming sessions, and planning. 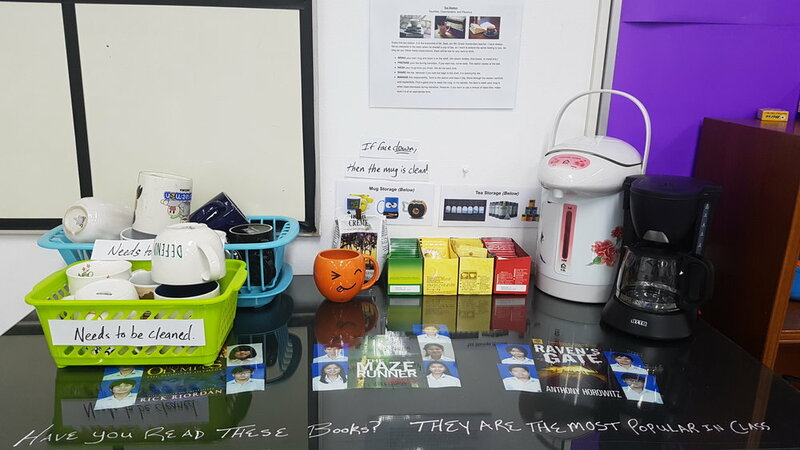 Next, students need a place like the brainstorming corner to test their ideas, including drafts of writing, prototypes of projects, or sketches of posters. I try to model brainstorming through the teacher planning board, where students can see the planning decisions I make in realtime. Finally, students need a place where their goals can be redefined, and their thinking realigned with the purpose of the unit. In my classroom, this place is the board for essential questions, which distills the major purposes of the unit into the most pertinent questions. 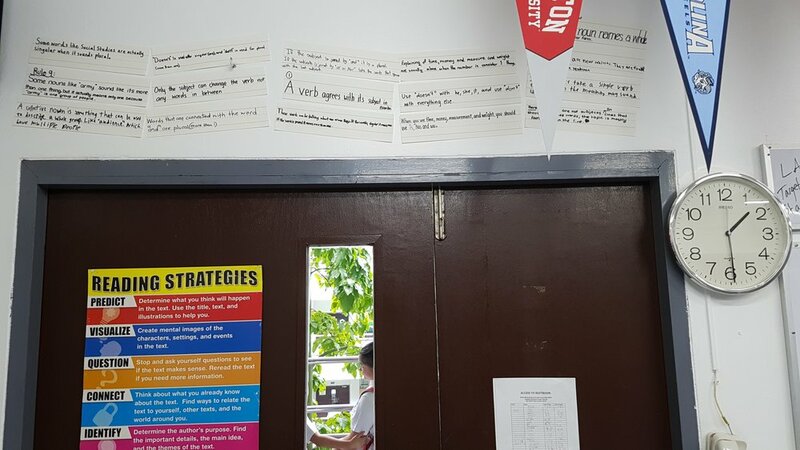 This board can be a great place to have the students reevaluate their work and reorient themselves into the ideation phase to begin the cycle of design thinking again. 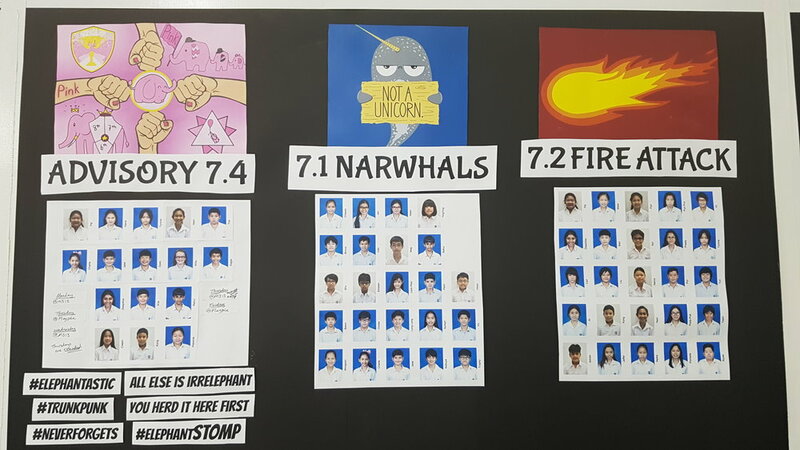 Teachers regularly display data, and students know where to find it and how to use it. 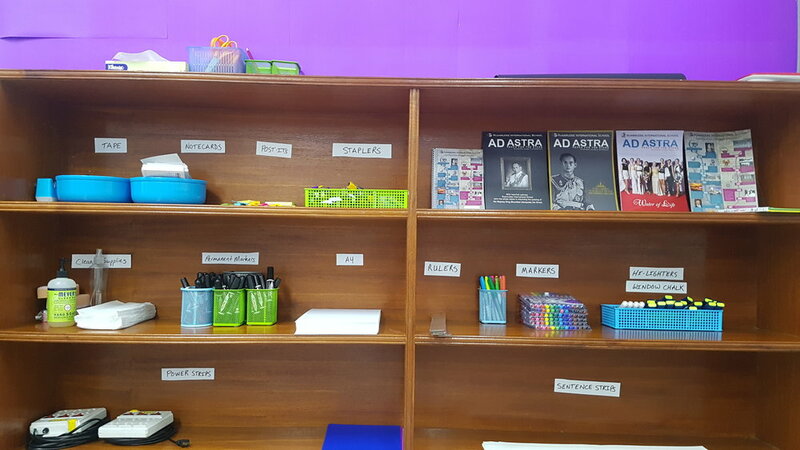 Teachers do their due diligence by visualizing information and organizing supplies functionally.